March 20, 2018 - M.T.H. Electric Trains has published its 2019 Ready-to-Run Train Set and Accessory catalog to the M.T.H. website. M.T.H. O Gauge mailing list subscribers and MTHRRC Railroaders Club members will receive their printed versions of the catalog in April 2019 when the 2019 Volume 2 catalog is released. 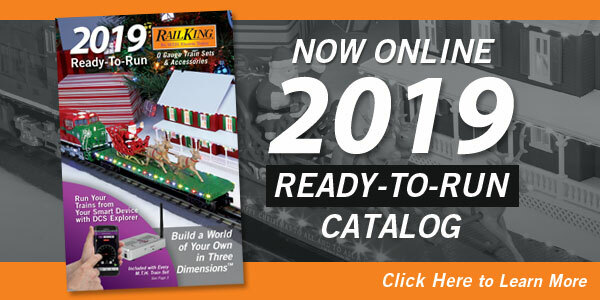 Non-subscribers can request printed catalogs by clicking HERE.